Our Real Grammar series showed how the evidence of language in use often undermines or contradicts the made-up or outdated “rules” which some people insist on. 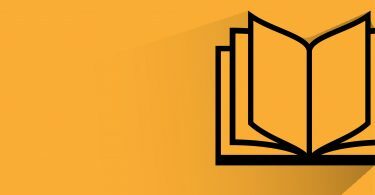 In this series on Real Vocabulary, with Scott Thornbury, we’re bringing you blog posts, videos and a quiz that give evidence-based answers to frequently asked questions about vocabulary. In the fourth question in our Real Vocabulary quiz, we asked whether it was acceptable to use the word “grow” in a sentence like “We’re working hard to grow the company”. We’re all familiar with the idea of growing crops, growing a beard, and so on. But can we talk about growing inanimate objects like companies or markets? This is quite a recent addition to the way grow is used, and it attracts a lot of negative comment. The Economist Style Guide includes this use of grow in a list headed “Horrible words”, an odd collection of words and expressions which – it believes – its readers will be irritated by. (They include facilitate, guesstimate, prestigious, and stakeholder.) But as we know, the fact that a usage may be widely disliked doesn’t mean it is “wrong”. So what is the background to this newish use of grow? As you would expect for something that refers to such a universal concept, grow is a very old English word, dating back over 1000 years. In its earliest uses, it referred only to living things: plants, crops, and (a little later) people or animals. But by the 14th century, we find evidence of non-material things being said to “grow” – a person’s power or knowledge, for example. In all these cases, grow was used only intransitively: vegetables grew, but no-one talked about “growing vegetables” – at least, not until the 18th century. So far, so uncontroversial. These developments are typical of how words can acquire new uses: first, the range of application is extended from animate to non-animate subjects, later a “causative” use is added by allowing the verb to be used with an object: wheat can grow (intransitive) or farmers can grow wheat (transitive). What we would expect next is for this transitive/causative use to be extended from living to non-living things – and this is exactly what started happening in the 1980s. There does not seem to be much evidence that heavy discounting would actually grow the market. P&W is confident that it can continue to grow the business further. The company plans to sell wood pellets locally first and grow the business to meet as much of the demand as possible. The strategy is to grow the potential market for their services by attracting users to a free platform. Find out why Westerville is a great place to grow your company. The most frequent noun objects when grow is used like this are business, company, economy, and market, and in corpus data from news sources, this use of grow is even more common than the “agricultural” one. A lot of contemporary business jargon can fairly be criticized as fashionable clichés which spread like a virus through the corporate world. Stan Carey gave us an excellent account of this phenomenon a few years ago. But as always, it’s important to distinguish between people’s dislike of certain vocabulary items and any judgements about “correctness”. What’s happening here is a perfectly natural development, and the likelihood is that disapproval of it will fade over time. The views of the American Heritage Dictionary’s “Usage Panel” support this prediction. When presented with the sentence One of our key strategies is to grow our business by increasing the number of clients, only 20% of the Panel accepted it in 1992 (when this usage was still very new) – but by 2014 that figure had risen to 60%. It’s useful to be aware that not everyone will have positive feelings towards this use of grow (though resistance will gradually weaken), but in business contexts it is perfectly acceptable. 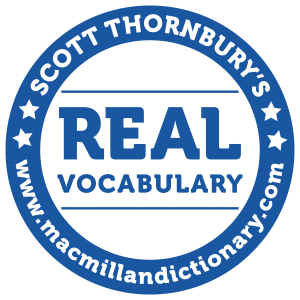 To learn more about Real Vocabulary, keep a close eye on our Real Vocabulary page. You can also follow this topic using #realvocabulary on Twitter, and remember that you can find all the blog posts on this topic by using the tags “prescriptivism” or “realvocabulary”.